Welcome aboard the Harmony Of The Seas, the biggest cruise ship ever made. And that’s no exaggeration, weighing in at 227,000 tons with 18 decks and measuring 124ft longer than the Eiffel Tower, the Harmony – made by Royal Caribbean International – is an absolute beast. According to the Daily Mail, the epic cruise ship made it’s first voyage last week, a trial before it opens its doors to the public in May. 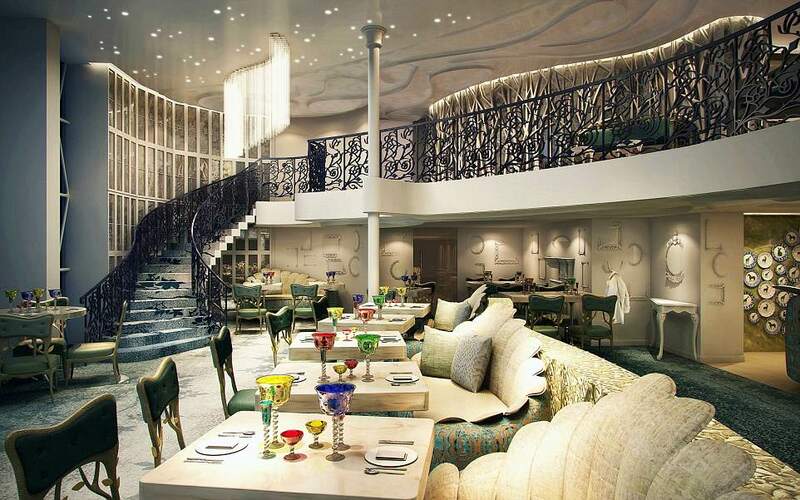 The Harmony of the Seas cost over £800 million to build, and is so big that guests will be issued with GPS-style trackers to help them find their rooms in the absolute labyrinth of floors. It’s big enough to contain a scaled down version of New York’s Central Park inside, home to 10,587 plants and 52 trees up to 20ft tall. The first 6,000 guests are set to board at Southampton in May, and VIP travellers will be served by a team of ‘Royal Genie’ butlers. And when it comes to entertainment, the ship has plenty to offer. 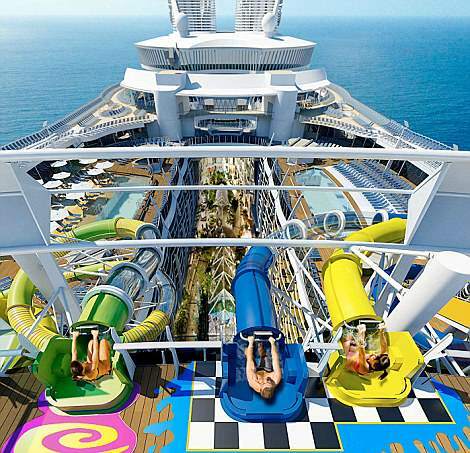 There are four slides onboard – including the world’s tallest slide at sea, the Ultimate Abyss, measuring in at 100ft – as well as a zipwire that runs nine decks above the open-air atrium, and a wave simulator where you can learn to surf onboard. 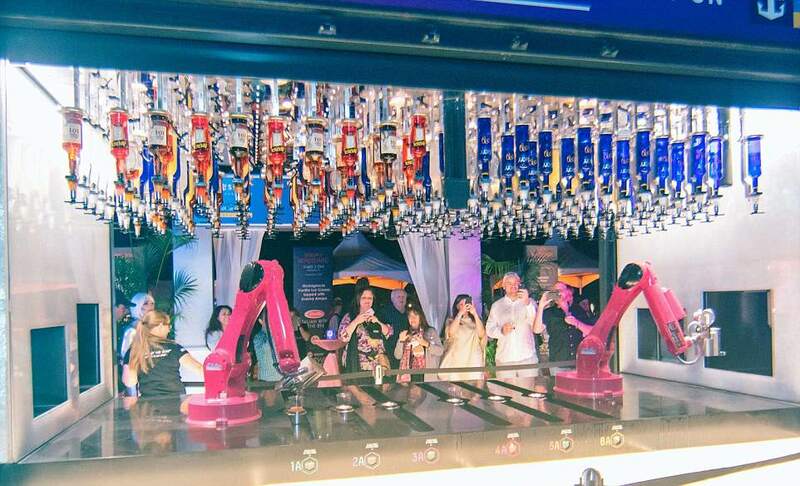 There’s also a ‘bionic bar’, where robots pour you cocktails, before heading off to see hit Broadway musical Grease at a full-size theatre, or down to the ice rink for a skate. If you’re hungry there are 16 restaurants and cafes, including a Jamie’s Italian, as well as a boutique shopping street and high-speed wi-fi. 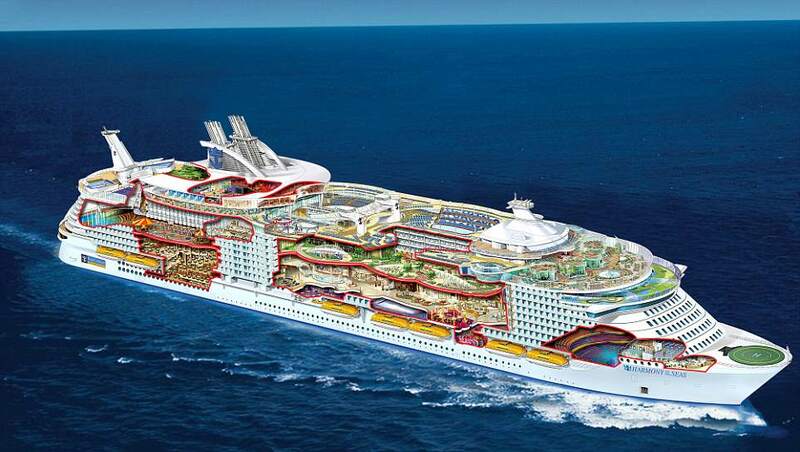 Monster of the deep: World's largest cruise ship is so vast that guests will have to use GPS to find their rooms!